Hayat Mix is live 24 hours broadcasting from Turkey and they are one of the very popular Turkish radio out there. 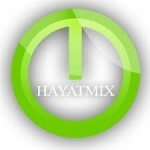 Hayat Mix for the very interactive mix music on the go. The radio offers a lot of musical stuff and they are also very addicted to offers great mix of music. The roots of traditional music in Turkey spans across centuries to a time when the Seljuk Turks colonized Anatolia and Persia in the 11th century and contains elements of both Turkic and pre-Turkic influences. Much of its modern popular music can trace its roots to the emergence in the early 1930s drive for Westernization.With the assimilation of immigrants from various regions the diversity of musical genres and musical instrumentation also expanded.